The Office of the Assistant Secretary of the Army for Acquisition, Logistics and Technology and the Army Director for Acquisition Career Management (DACM) Office in the U.S. Army Acquisition Support Center continue to develop and coordinate an Army Acquisition Workforce (AAW) Human Capital Strategic Plan (HCSP). On May 9, during the State of the Army Acquisition Workforce GO/SES Forum, Lt. Gen. Michael Williamson discussed how the HCSP effort helps us prepare and sustain our acquisition professionals for job and mission success. 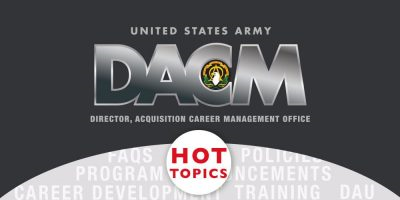 A conference planned for July 28, with stakeholders and experts from across acquisition career fields and organizations, will help us finalize the HCSP and its supporting action plan—our guide for a systematic and collaborative process for recruiting, developing and retaining a highly skilled, engaged AAW over the next five years. Please note that this mandate also applies to all bargaining unit employees in the North Central, South Central, South West (except Fort Carson) and West (except Walla Walla) Regions. Local bargaining unit obligations remain in the Northeast Region, as well as in the Fort Carson Civilian Personnel Advisory Center (CPAC) and the Walla Walla CPAC. Looking for a way to defray the costs of continuing your education? 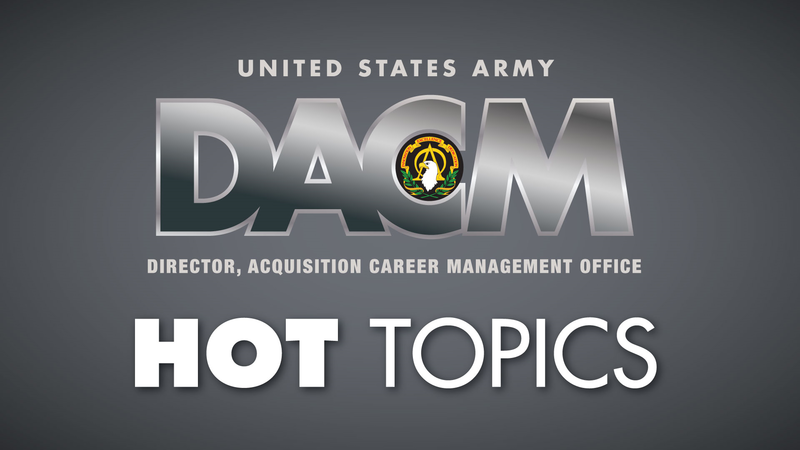 The Acquisition Tuition Assistance Program (ATAP) application opens June 13. The announcement for the rebranded Competitive Development Group/Army Acquisition Fellowship program will open June 28 and close Sept. 28. Please check the webpage in the next few weeks for updated details. The FY17 DAU course schedule is now available for student registration in ATRRS AITAS. Below are changes to existing and new courses available in FY17. Click on the course name to view details of each course and valid predecessor courses. BCF 250 (new course; no webpage available at this time)—Applied Software Cost Estimating. Required for Level II business – cost estimating certification in FY18. DAU will conduct a student pilot and offer courses later in FY17.